Best AVI Video Cutter and Editor for All Levels. AVI videos are usually large in size since they have a low compression ratio to cover the high original video quality. Yet they can be easily split into smaller individual videos without re-compressing if the AVI videos you downloaded or recorded are too long. And now, video splitting is a basic skill that you can master easily with the premise that you are using a simple and easy to handle video splitter. Certainly, there are many professional video editors while this sort of editors has a high price tag and complex interface in general and are hard to master for beginners. In this case, you need an easy-handle AVI splitter to trim the clip to the shortened length you need. And you can obtain the trustworthy AVI cutter and the related splitting process here. 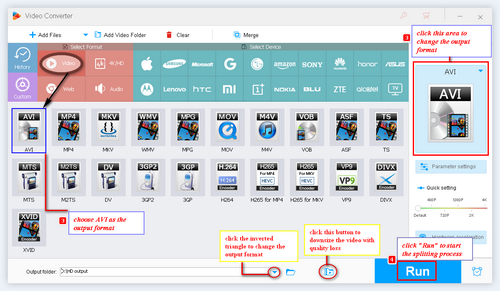 WonderFox HD Video Converter Factory Pro is able to split AVI files with or without re-coding at will. Just a few mouse clicks, you can cut off the extra parts from your large AVI videos at an amazing fast speed. After continuous technical updates, the current HD Video Converter Factory Pro can split AVI video with three times the acceleration. Give it a try! WonderFox HD Video Converter Factory Pro is exactly the right tool for AVI files editing work. Unlike the costly professional video editors, this program has a clear interface and let you find the needed function at a glance. Of course, there’s no complicated AVI trimming process. Even new users can handle the following operating steps for the first time. Above all, you need to free downloadfree download this AVI cutter for the preparation. Launch the program. 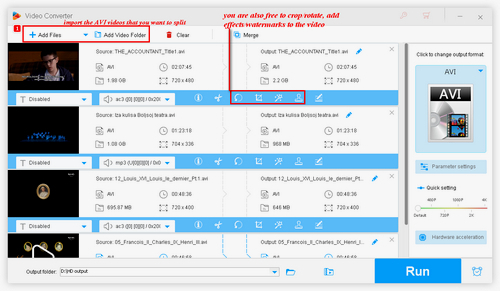 Drag-and-drop the AVI videos to the interface of this AVI video cutter or you can click the “Add Files” button to import videos. TIPS: You can also import other videos for splitting, such as trim MP4, MKV, MPG, etc. and convert them to AVI format for your needs. Hit the scissor-like icon to jump to the window to split AVI file. Here you can trim AVI by dragging the slider on the timeline. Also, you can preview the video by hitting the “Play Section” icon. 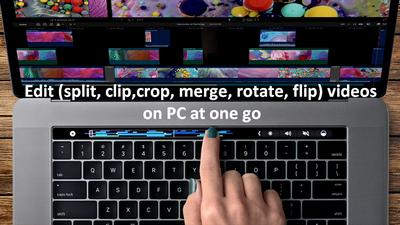 If the cutting is exactly what you want, then click the “OK” button to save the footage. TIPS: If you want to set the accurate time for splitting, you can specify the exact start time and end time. 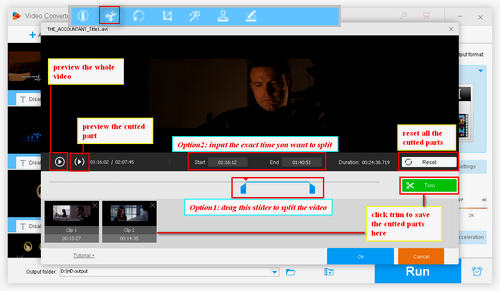 For you who do not want to recompress the AVI files or change the video format, you can set AVI as the output format. But if you are going to convert the videos, you can choose to convert AVI to MP4, MKV, MPG, MOV or devices like iPhone, tablets, etc. since this program supports to output videos to 300+ formats and devices. TIPS: You can improve the AVI videos to HD videos or merge AVI files to a whole one via this software. 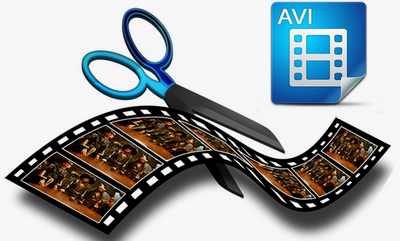 Now you can press the Run button to deal with how to cut AVI files on this AVI splitter. An ideal AVI cutter as well as AVI merger. Besides trimming AVI, you can take it to combine your several AVI or other videos into one single file at one go. Moreover, cropping AVIs is also supported. And you can use it to convert online and local videos to AVI format and vice versa with three simple steps.